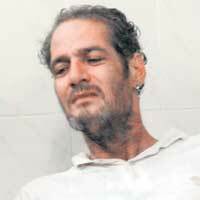 British Origin Indian actor Gavin Packard passed away on May 18 due to respiratory disorder problems at private nursing home in Vasai, Mumbai. His funeral took place at St. Andrews Burial Ground on May 19, As per the report two hundred people attended the funeral, although film industry doesn't enquired about his demise. "Season", "Aryan" with different actors of malayalam cinema. Benjamin Bruno's character of the film "Aayushkaalam" is still remembered by the malayalees. Gavin also acted in many hindi films as villain, few popular one is "Mohra", "Tadipaar" and "Chamatkaar". Fitness Trainer by profession Gavin Packard made his debut to hindi films with the movie "Ilaaka" in 1989. This 48 year old actor was born in United Kingdom on 1964.